Mauryan and Sunga Period: The Mauryan Empire was one of the world’s largest empires to have existed during the ancient time. When this empire reached the peak of its glory, in the north the empire stretched along the natural boundaries of the Himalayas, while in the east it stretched into the present day Assam. By annexing Baluchistan, southeastern parts of Iran and most parts of Afghanistan, including the modern Herat and Kandahar provinces, this empire extended till the modern day Pakistan in the west. A major expansion into India’s central and southern regions was carried out by the emperors Chandragupta and Bindusara, which, however, excluded a small portion of unexplored tribal and forested regions near Kalinga which is the modern day Orissa, till it was eventually conquered by Ashoka. Under the reign of Chandragupta who is believed to have founded the Mauryan Empire, the trans-Indus region, which was then under Macedonian rule came to be annexed. Subsequently, Chandragupta also defeated the invasion led by Seleucus I, who was a Greek general from Alexander’s army. Chandragupta, as well as his successors, ensured that both internal and external trade, and agriculture and economic activities, all thrived and expanded across India because of the creation of a single and efficient system of finance, administration, and security. Bindusara was the second Mauryan emperor who succeeded Chandragupta Maurya the Great to the throne. During his reign, the empire expanded southwards. 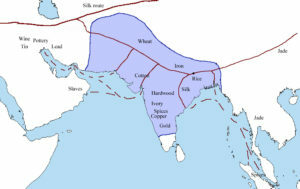 During Bindusara’s rule, the Mauryan Empire consisted of the present day, Northern, Central and Eastern parts of India along with parts of Afghanistan and Baluchistan. Bindusara extended this empire to the southern part of India, as far as the present day Karnataka. He brought sixteen states under the Mauryan Empire and thus conquered the entire Indian peninsula. As a matter of fact, he is said to have conquered the ‘land between the two seas’ which was the peninsular region between the Bay of Bengal and the Arabian Sea. Subsequently, he further extended his empire further as far as south Mysore. He conquered as many as sixteen states and extended the empire from sea to sea. The empire then included the whole of India barring the region of Kalinga along with the Dravidian kingdoms of the south. 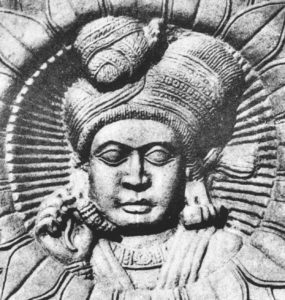 Kalinga, however, was conquered by Bindusara’s son Ashoka. 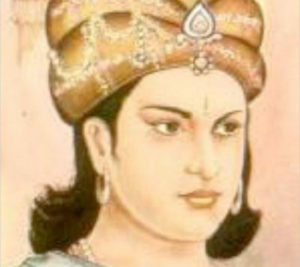 His two sons namely, Susima sons, Susima and Ashoka, were appointed as the viceroys of Taxila and Ujjain. He was popularly also called as ‘Ajatashatru’ which meant ‘Man with no enemies’ in Sanskrit. After the Kalinga War, the Empire experienced half a century of peace and security under Ashoka. Mauryan India also enjoyed an era of social harmony, religious transformation, and expansion of the sciences and of knowledge. Chandragupta Maurya’s embrace of Jainism increased social and religious renewal and reform across his society, while Ashoka’s embrace of Buddhism has been said to have been the foundation of the reign of social and political peace and non-violence across all of India. 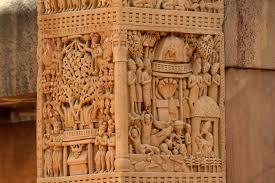 Ashoka sponsored the spreading of Buddhist ideals into Sri Lanka, Southeast Asia, West Asia, and Mediterranean Europe. Out of his two sons, it was Ashoka who took up the throne. Ashoka was known for his wicked nature and bad temper. Ascending the throne, Ashoka expanded his empire over the next eight years, from the present-day boundaries and regions of Burma Bangladesh and the state of Assam in India in the east to the territory of present-day Iran and Afghanistan in the west; from the Pamir Knots in the north to almost the peninsular of southern India namely the modern day Tamil Nadu or Andhra Pradesh including the most unforgettable conquest of Kalinga. Subsequent to Emperor Ashoka’s rule, this empire lasted barely for the next 50-60 years. During this period, the Mauryan Empire witnessed several rulers like Dasaratha Maurya, Samprati Maurya. Salisuka Maurya, Devvarman Maurya, Satadhanvan Maurya finally ending with the rule of Brihadrata who was the last ruler of the Mauryan Empire. His rule lasted till about 185 BC when he was finally assassinated by his Commander-in-Chief, Pusyamitra Sunga during a military parade. At that time, the Mauryan territories were concentrated around the capital of Pataliputra and its boundaries had reduced considerably as compared to the time when great Emperor Ashoka ruled to the time when Brihadrata took over the throne. However, owing to the lack of powerful rulers as well as the absence of a strong army, this empire finally began to crumble until it finally disappeared in 185BC and the entire rule fell into the hands of a new dynasty namely the Sunga Empire. 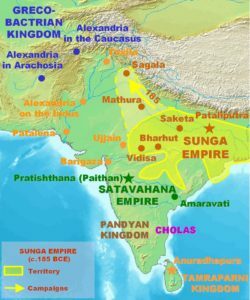 The Sunga or Shunga Empire was a royal Indian dynasty from Magadha which controlled infinite areas of the Indian Subcontinent from around 185 to 73 BC. The dynasty was established by Pusyamitra Sunga, after the fall of the Maurya Empire. Its capital was Pataliputra, but subsequently, emperors such as Bhagabhadra also held court at Vidisha, modern Besnagar in the Eastern Malwa region. Pushyamitra Sunga ruled for 36 years. His reign was marked by warfare, wherein he and his successors fought the Indo Greeks, Kalingas as well as the Satavahanas Following the assassination of Brhadrata, the Greco-Bactrian Kingdom invaded Sunga lands with an army led by Demetrius I of Bactria. The Greco-Bactrians overran Arachosia, Gedrosia, and Punjab along with Mathura. Pushyamitra was believed to have regained some of the lost territories and was attacked by King Kharavela of Kalinga. Pushyamitra Sunga was finally succeeded by his son Agnimitra and ruled for eight long years. According to the Malavikagnimitra, a war broke out between the Sungas and neighboring Vidarbha kingdom during Agnimitra’s reign. Prior to the rise of the Sungas, Vidarbha had become independent from the Mauryan Empire when a former Mauryan minister put his brother-in-law Yajnasena on the throne. Madhavasena, a cousin of Yajnasena, sought help from Agnimitra in overthrowing his cousin but was captured while crossing the border of Vidarbha and imprisoned. Agnimitra demanded the release of Madhavasena, and in return, Yajnasena demanded the release of the former Mauryan minister, who had been earlier captured by Agnimitra. Instead, Agnimitra sent his army to invade Vidarbha. Yajnasena was defeated and forced to divide Vidarbha with Madhavasena, and both cousins recognized the sovereignty of the Sunga rulers. Vasujyetha was the third King of the Sunga Dynasty of Northern India. His reign was not well documented and hence there is very little known about his rule. He was credited with successfully completing and defeating the forces of the Indo-Greek Kingdom along the banks of the Sindhu River. Vasumitra or Sumitra was the fourth King of the Sunga Dynasty of Northern India. He was the son of Agnimitra from his queen Dharini and had a stepbrother Vasujyeshtha. Vasumitra guarded the sacrificial horse let loose by his grandfather Pushyamitra, and defeated the armies of the “Yavana” or the Indo-Greeks on the banks of the river Sindhu. Bana’s Harshcharita referred to him as Sumitra and laid down that he was killed by Mitradeva. After his rule, there were some other rulers like Andhraka, Pulindaka, Ghosha as well as Vajramitra with regard to who there is not much data available. Following the rule of all the above rulers, came Bhagabhadra. He ruled the northern, central, as well as eastern India around110 BCE. Devabhuti was the last king of the Sunga Empire in ancient India who ruled until he was finally assassinated by his minister Vasudeva Kanva. Following his death, the Sunga dynasty was then replaced by the subsequent Kanvas. There were in all ten Sunga rulers. This empire was very much on the similar line like the Mauryan Empire as in this empire also art, literature, pottery flourished as the Sunga rulers like the Mauryans were royal patrons of varied forms of art.